1. 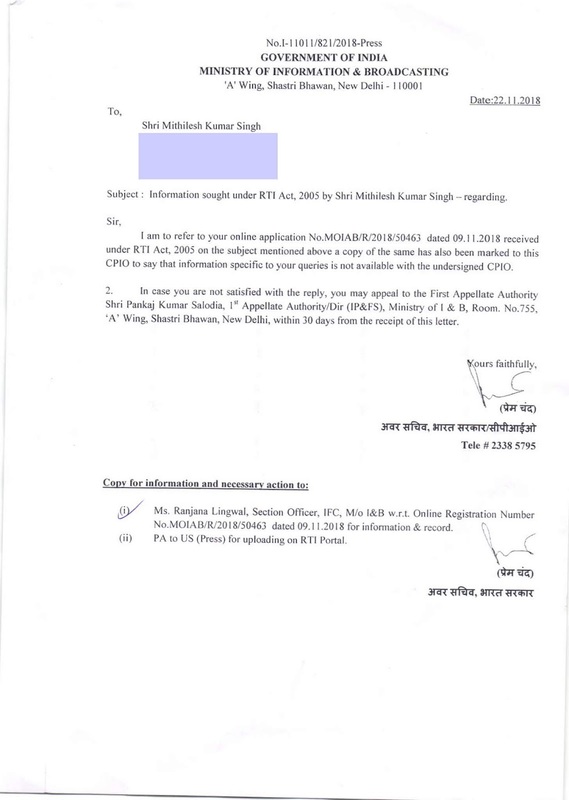 Is Government Registration of any News Portal is necessary? 2. If yes, then what is the exact and full-proof procedure? 3. If Not, then what is the alternate way to drive a News Portal Legally? 4. If this facility is not available at Central Ministry level, so is it available at State Level? 5. Is there any formal circular at District level for News Portal Registration? 6. 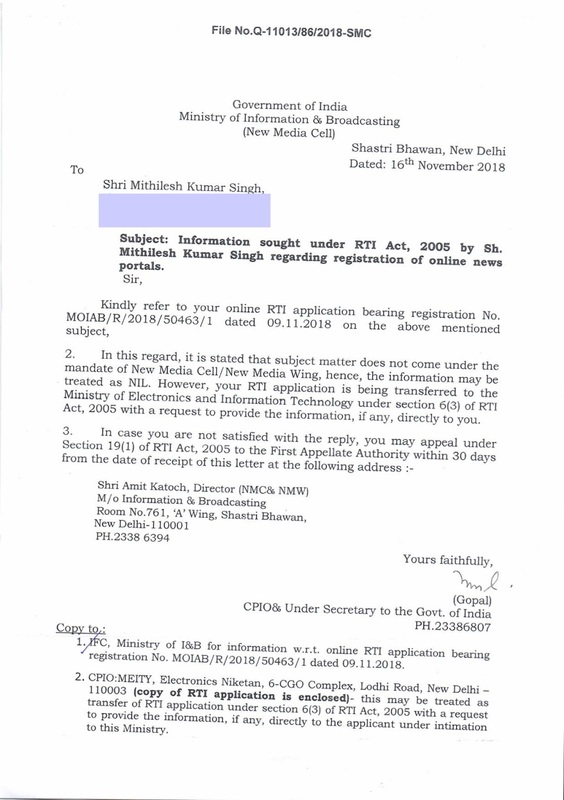 If any portal is not registered through any government department, then is it possible that News Portal owners can use PRESS CARD on behalf of their News Portal? 8. 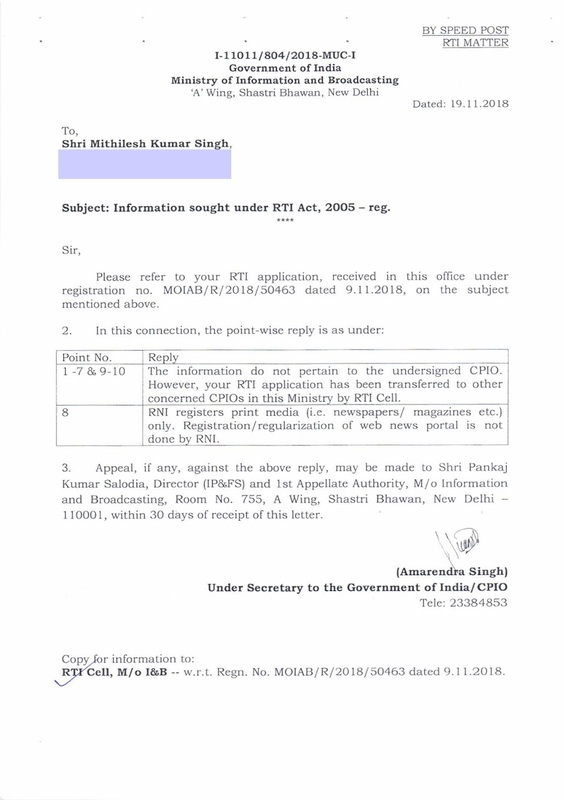 Is there any proposal in your Ministry of Information & Broadcasting to regularize News Portals like News Papers, Magazine through RNI is happening. Please provide the exact status of this kind of official discussion under your ministry? 9. Can any Portal Owner, Portal News writer, Correspondent attend Government Programs without Registration of their News Portals? 10. Please provide all related informations, which is directly, indirectly related with News Portal Making, Suspension, Coverage etc. Thanks a lot for your co-operation and all your information you are going to provide us, point wise. दुर्भाग्य से जो जवाब आये, उनमें न्यूज़ पोर्टल रजिस्ट्रेशन को लेकर कुछ भी स्पष्ट नहीं बताया गया. हाँ! इतना ज़रूर कहा गया कि सूचना प्रसारण मंत्रालय के पास इस सम्बन्ध में कुछ ख़ास 'सूचना' ही नहीं है. अब भई! जब सूचना-प्रसारण-मंत्रालय के पास ही सूचना नहीं है तो किसके पास होगी?